There’s definitely a protected class of people in this world. And membership in it has nothing to do with gender, race or creed. To be a member of the protected class you have to be brazenly, flagrantly…..hypocritical. I don’t mean that you just have to be hypocritical, because hypocritical people are generally looked down upon in society. For example, if I tell everyone I work with that they should eat healthier and then show up with donut crumbs on my shirt, they’ll all laugh at me and call my a hypocrite. I mean you have to be unashamedly hypocritical. If you say one thing and do another and try to hide what you’ve done, people will scorn you. But apparently if you say one thing and do another, with no regard for any sort of moral principles….It’s all good. Why yes, Mr. Pope, there is some hypocrisy going on in religious circles. Primarily among those who deride the manufacture of weapons, while wrapping themselves in the blanket of the safety provided by those weapons. Not everyone has the luxury of being protected by their own private police force (the Pope’s cops are called the Gendarme). 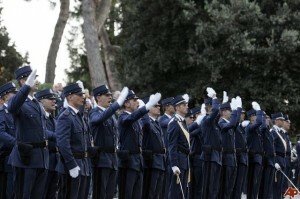 And I doubt that these Gendarme officers have empty holsters. 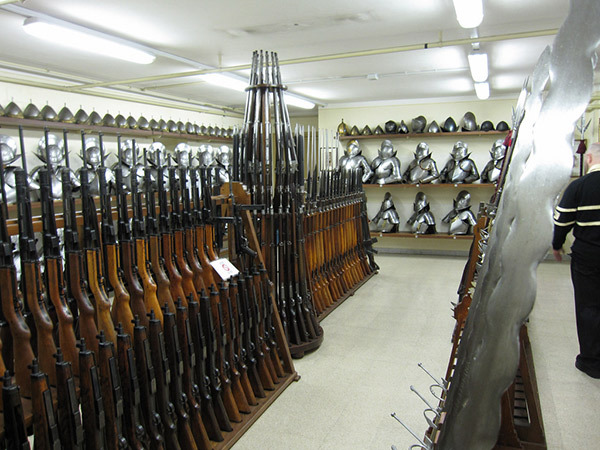 This is an equipment room for the Swiss Guard, the standing military of the Vatican. But don’t let those old-timey muskets fool you, the Swiss Guard is now fielding modern Sig rifles and pistols, much like America’s Navy SEALs. Newsflash Mr. Pope, in case you weren’t sure of how capitalism works…. If nobody makes guns, and nobody invests in gun making….THERE WON’T BE ANY GUNS FOR YOU TO BUY FOR YOUR ARMY. Later in his speech the Pope derided all of the war-mongering countries in the world for not using bombs to blow up the railways bringing Jews to concentration camps. So maybe the Pope doesn’t want to be the only protected person in the world, maybe he just thinks that he should get to personally approve who gets to be safe and who gets blown to smithereens. I’m not trying to pick on the Pope, it’s just that he’s the latest example in a long line of people who are so flagrantly hypocritical that nobody seems to care. 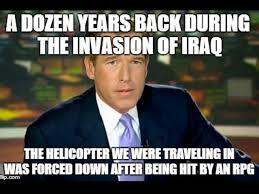 For example…..
Brian Williams is getting another job as a news anchor at MSNBC after he completes his suspension FOR LYING ABOUT THE NEWS. Hillary Clinton lied about getting shot at by a sniper and stands a fair chance of being elected President. 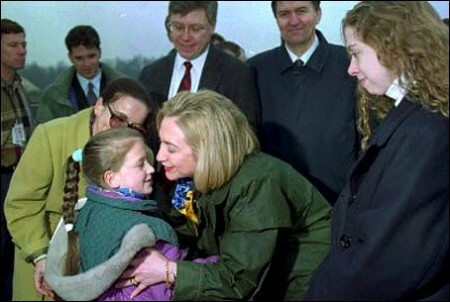 This is what the “sniper fire” incident really looked like. 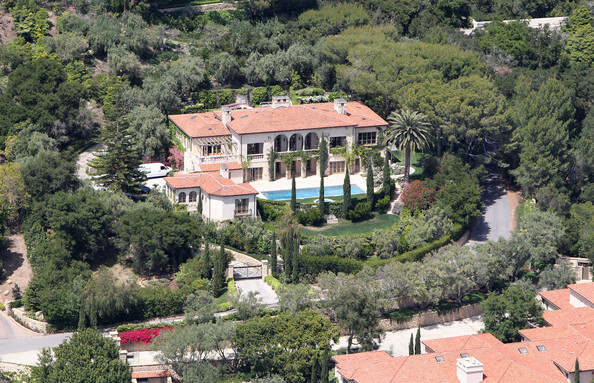 And my personal favorite….Al Gore. His incessant complaining about men heating up the world is probably because it causes him to spend more to cool his house, which consumes twenty times the national average of electricity every year. Carbon footprint, what? So what do Liam Neeson, Hillary Clinton and the Pope have in common? They’re all so blatantly, ridiculously hypocritical that nobody seems to care. They’re in the real protected class in this world…..The class of people who can say whatever they want, and do the opposite, without anyone even batting an eye.